Everyone wants a comfortable, sturdy and long-lasting mattress, and there are a wide variety of options for consumers to choose from when mattress shopping. However, many times shoppers don’t consider organic mattresses because they assume that they are too expensive. Contrary to popular belief however, organic mattresses are highly comparable to traditional mattresses in their affordability. Whether you are purchasing an organic mattress or a traditional mattress, it’s important to set your budget and create a wish list filled with must-haves in a mattress. Then, head to a local mattress showroom to test out each mattress. Many people assume that the more expensive mattresses, either organic or traditional, the better the materials. However, high cost does not translate to high quality in every case. When shopping factory direct, you can get an organic or traditional mattress for much less than you would at a mattress store. Do Organic Mattresses Cost More? Typically, organic mattresses will be slightly more expensive than traditional mattresses, but they are still well within the range of affordability for shoppers seeking a quality sleep experience. This is simply because it costs more to farm organic materials like cotton and wool, so that additional cost is passed on to the consumer. 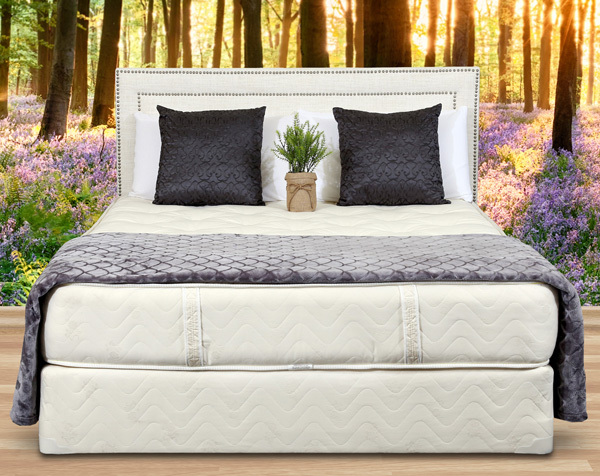 When considering the production, manufacturing, and materials of an organic mattress, it becomes clear that there’s a lot that goes into crafting an organic mattress. While organic mattresses may be more expensive than very cheap traditional mattresses, they are generally on par with quality traditional mattresses. Individuals shopping for an organic mattress can find models that are only slightly more expensive than traditional mattresses when they shop factory direct. Many people are surprised that they can find a factory-direct organic mattress for less than they would pay for a higher end traditional mattress at a mattress store. At Gardner Mattress, we pride ourselves on offering competitively priced organic and traditional mattresses. Come in to test out our mattresses and engage with our knowledgeable staff who will help you choose the mattress that is right for your sleep lifestyle and your budget. Contact Gardner Mattress to visit our showroom and try out our mattresses today. We’ll help you find the right fit for your specific needs. Previous article	What is the Difference Between a Mattress Pad & a Mattress Topper?